Would you know if your dog has Lyme Disease? 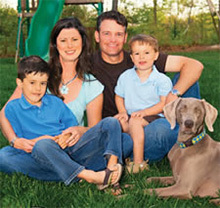 You may not know “man’s best friend” can also contract Lyme Disease, but they can! The answer is not so clear. You may not have realized your pet could get Lyme Disease like humans, until your were asked the question. Dogs, cats and horses can and do get Lyme Disease from ticks, as well as 3 other serious infections ticks carry. Your dog’s Lyme Disease symptoms are different from ones you may have; or, they may not appear at all. If symptoms do appear, they may seem to leave on their own and reappear later. The lack of symptoms and seemingly temporary nature of Lyme Disease symptoms in your dog can make a correct diagnosis difficult. Of course, dogs are perfect targets for ticks. 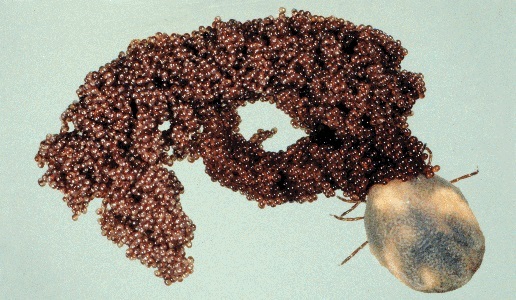 When ticks are “questing” or looking to hitch a ride on an animal to obtain their blood meal, they usually hold onto limbs, grasses and other objects about knee-high in height. They are looking for coyotes, raccoons, possums and yes, your best friend, your dog. 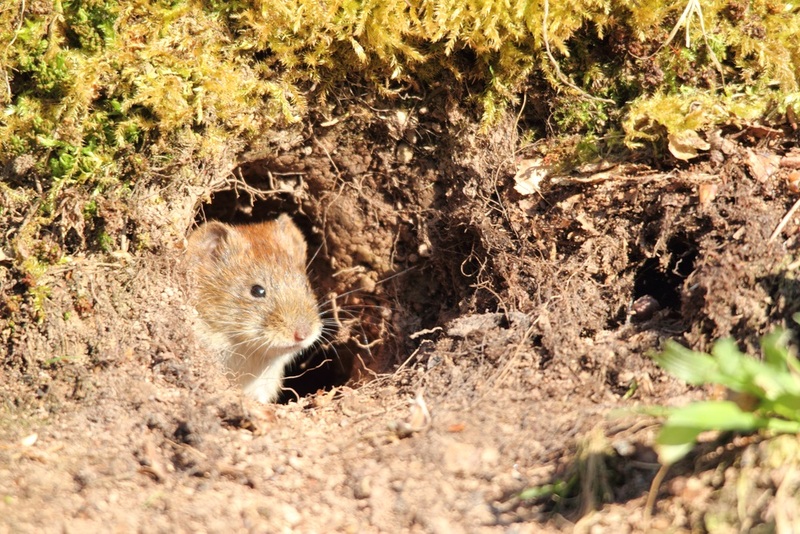 All of these animals, including your canine family member, enjoy exploring interesting and new places outdoors like brush piles, rock piles, thick grass and the like are also perfect places for ticks to live and look for a meal. In a story for mspca.org, Erika de Papp, DVM, DACVIM reported that it is common for 50-75% of dogs in New England test positive for Lyme Disease. 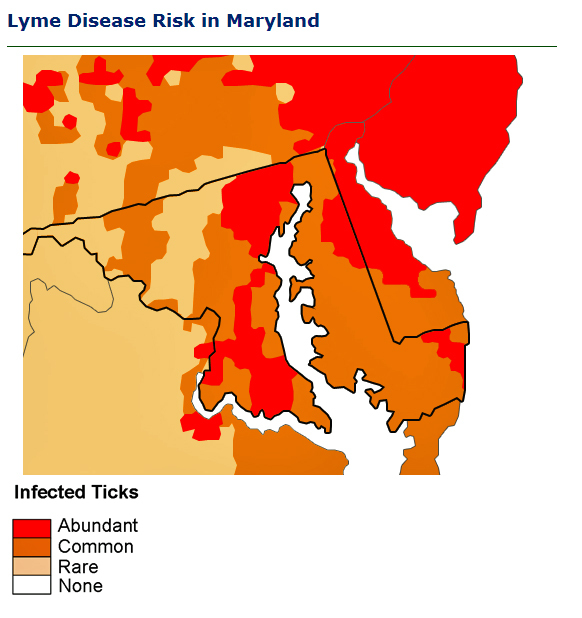 Of course, Lyme Disease is endemic in New England, as it is in Maryland. For dogs that test positive to Lyme Disease, only 5-10% may show clinical symptoms of the disease. If your dog doesn’t show any clinical symptoms, some veterinarians argue against treatment in healthy dogs. 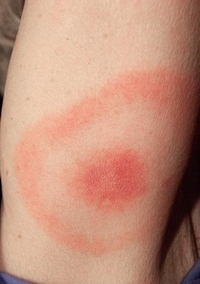 Lyme Disease is transmitted through the bite of a deer tick. 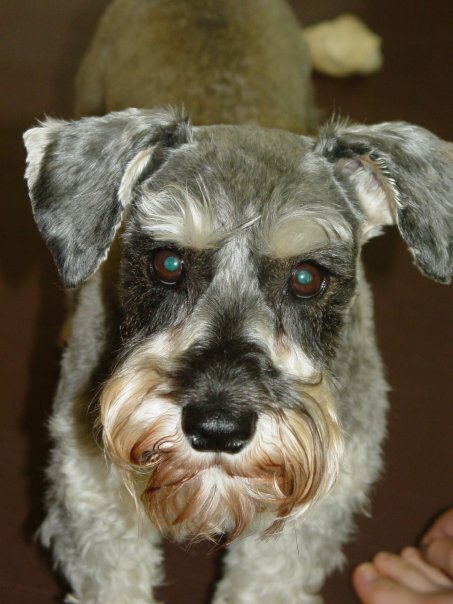 The most serious consequence of untreated Lyme Disease can be kidney disease in your dog. If your dog tests positive for Lyme Disease based on blood tests but is not treated, discuss the benefit of kidney function tests with your veterinarian. 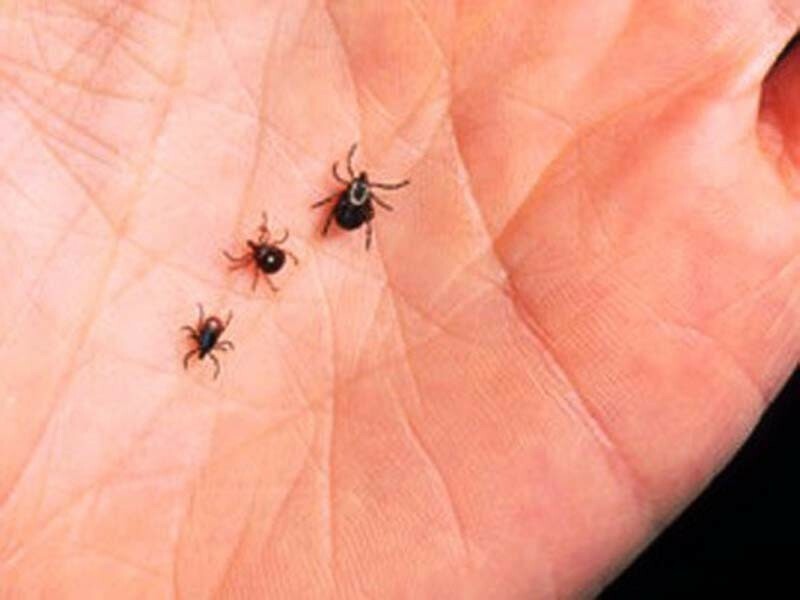 Until recently, veterinarians could only test if your pet’s blood had antibodies present indicating a Lyme infection had occurred. 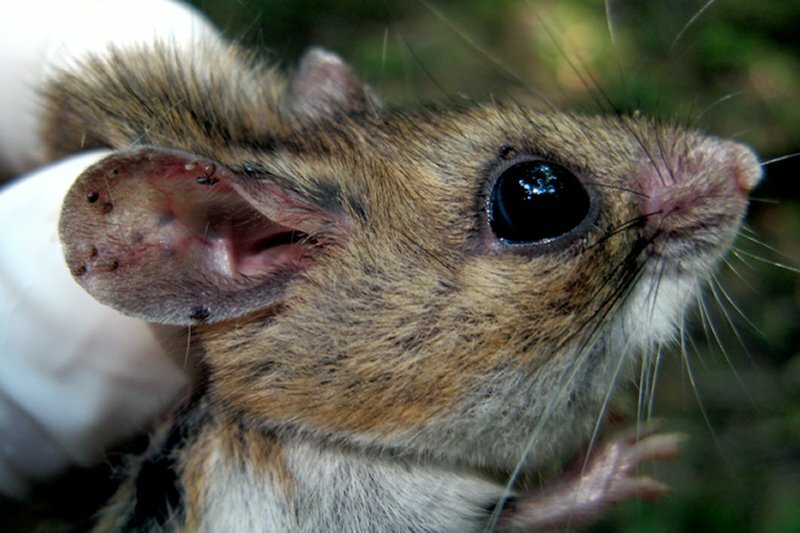 These tests couldn’t determine if the infection was recent or one your dog had for some time. A new test to diagnose Lyme Disease in dogs has now been developed to determine if the infection in your dog is recent, which means a better prognosis for treatment. Of course, your veterinarian will have the most current information on tests used to diagnose an infection and confirm the need for treatment. The clinical symptoms of Lyme Disease in dogs are fever, decreased appetite, tiredness, swollen and painful joints that may be painful to examination and lameness or limping that may seem to shift between legs. 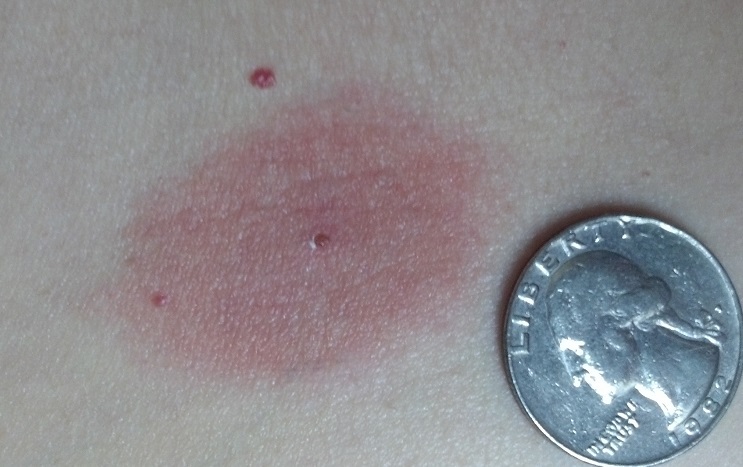 The appearance of these symptoms between the time of the bite and when they occur may be 2 to 5 months apart. Symptoms may also appear to clear up, only to return later. It is important to keep up with any symptoms you observe in your dog and to document when they occur. Keeping your furry friend happy and healthy is up to you! 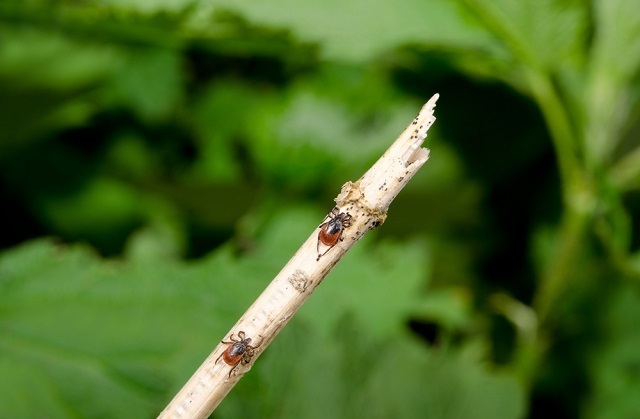 With the prevalence of Lyme Disease in some of our most precious canine family members, as well as the difficulty in diagnosing a disease often without symptoms, the prevention of tick bites should be your first priority. 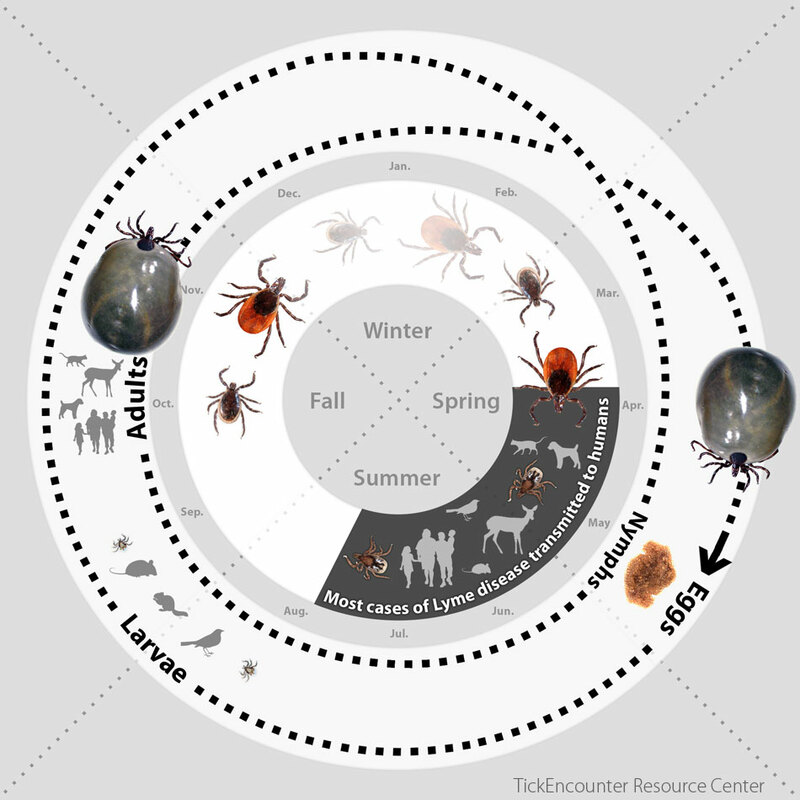 The use of a parasite preventative and regular tick checks of your dog whenever they return indoors are important in Lyme Disease prevention. In order to eliminate your dog’s exposure to ticks, remove any brush piles and leaf litter on your property and keep grass cut low. 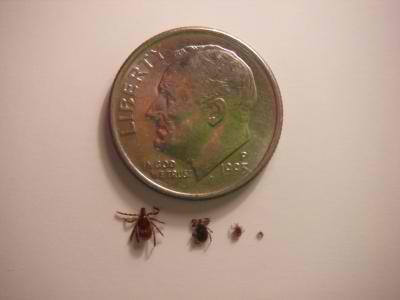 Hard ticks such as the black-legged tick, or deer tick, dry up when exposed to the sun or heat for long periods. 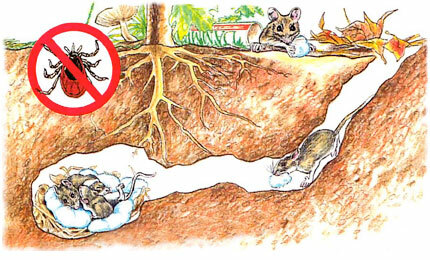 They need shade and moisture, so eliminating their hideouts and keeping your lawn trimmed low will help protect your pets as well as your family from ticks. 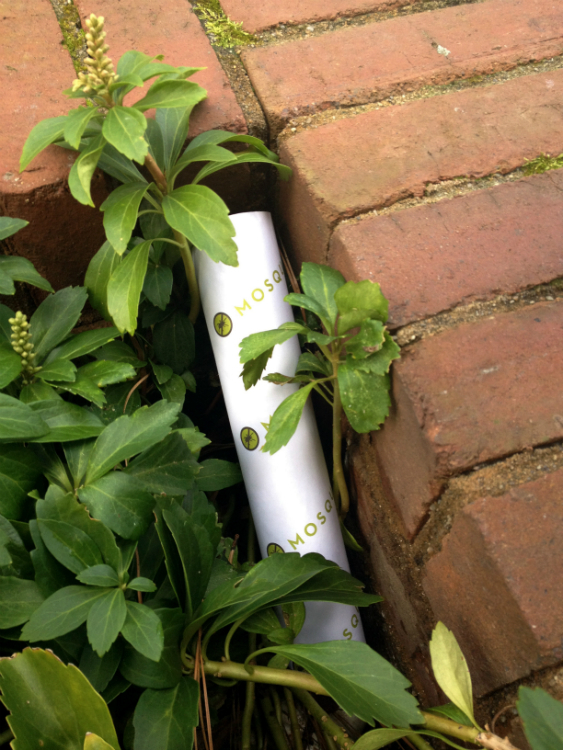 Finally, choose our effective and proven barrier spray , as well as out tick tube treatments. 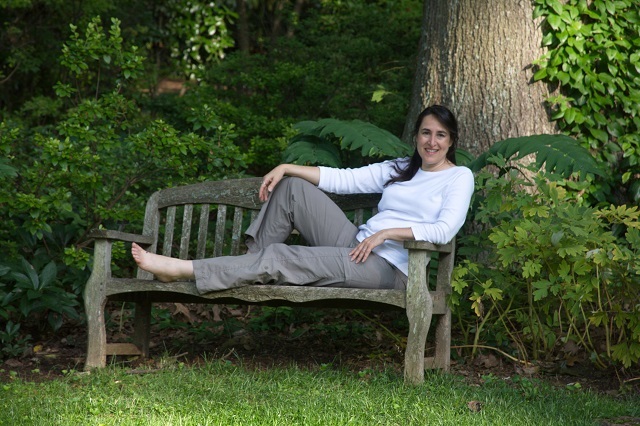 Reduce the population of ticks in your yard and you will have greatly reduced the risks of Lyme Disease for you and your dog! 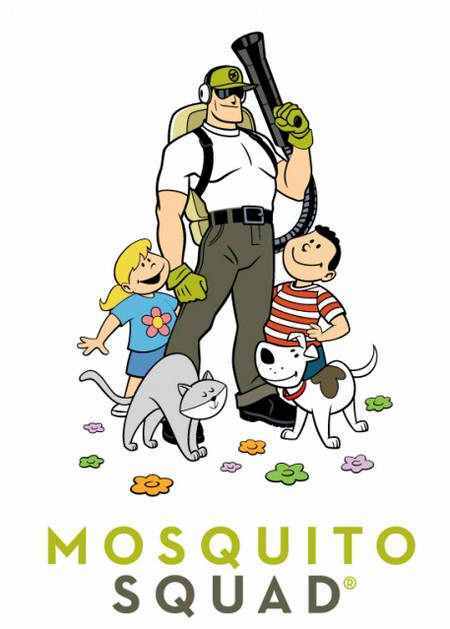 Don’t forget: Barrier sprays, like the ones used by Mosquito Squad of West Montgomery, eliminate both ticks and mosquitoes. 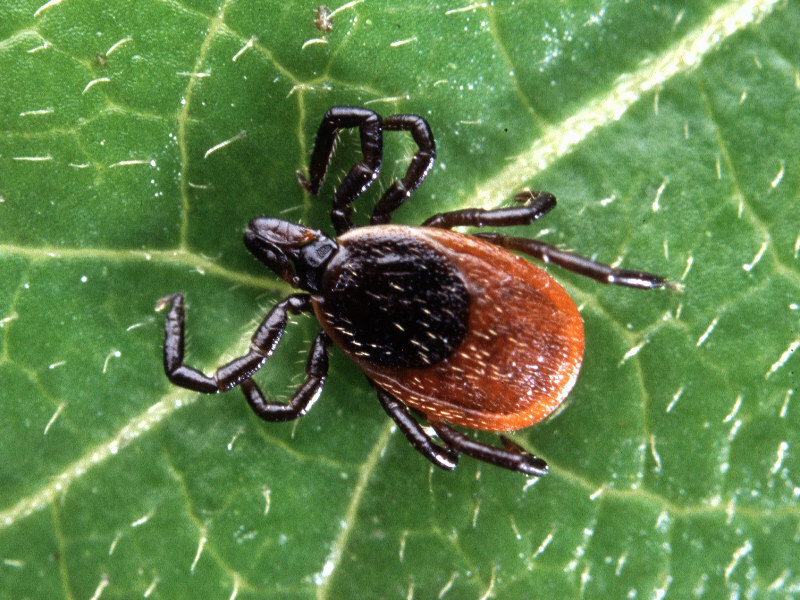 We’ve discussed here the risk of Lyme Disease to your canine family members. For your dogs, the mosquito bites bring on heartworm. 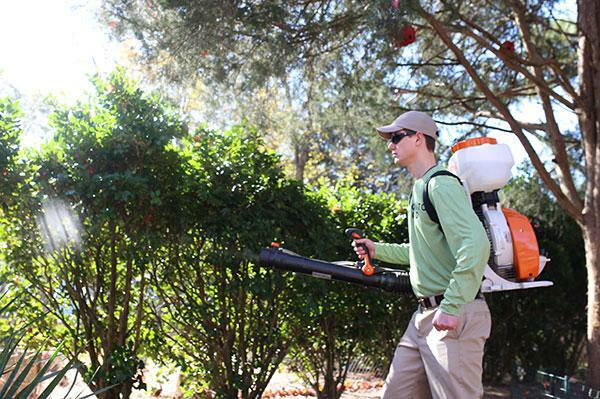 Our effective barrier spray will eliminate both pests around your home. 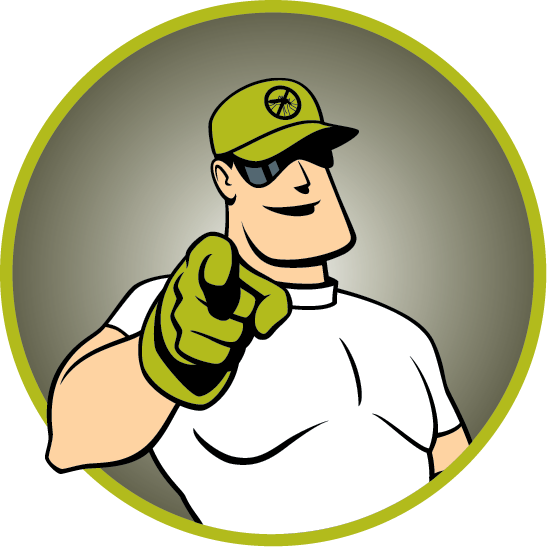 Contact Mosquito Squad today to learn more about reducing the risk of tick and mosquito-borne illness this season! 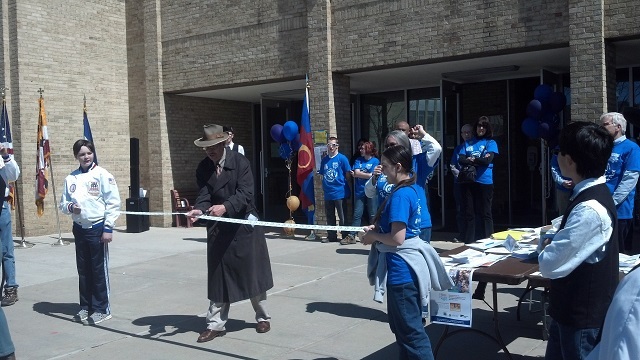 Ribbon cutting at Science Day 2014. Mosquito Squad of West Montgomery, MD participated in the annual Rockville Science Day 2014 at Montgomery College on April 6th. This year marked the 25th anniversary for the event which provided a wide variety of fun scientific displays and fun hands-on activities for all ages with a goal of sparking the imagination and creativity of participants. This year’s Science Day explored aspects of engineering, biology, rocket launches, chemistry, astronomy and much more! 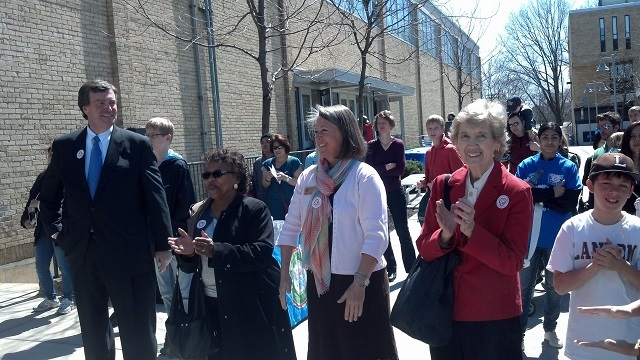 Jennie Forehand -MD State Senator. The Mosquito Squad of West Montgomery team participated in the event in an effort to help educate and raise awareness within the community about mosquitoes, ticks and vector-borne illness. In conjunction with handing out informative brochures from the Maryland Department of Health, we also interacted with participants of the event to gain a better understanding about their knowledge of mosquito and tick-borne illness. With over 4,000 visitors attending the event, we were able to spread the word about raising awareness about the dangers of mosquitoes and ticks. 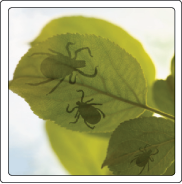 Some of the questions we asked included, ” Do you know where ticks get Lyme Disease?” Only two out of the many we asked this question to over the course of the afternoon knew the correct answer. In addition, Mosquito Squad of West Montgomery educated attendees of the Rockville Science Day about Malaria No More. We are a proud supporter of the Malaria No More campaign which is helping raise awareness of Malaria on a global level and helping to provide life-saving tools to help defeat this deadly mosquito-borne illness!